ROAD TOWN, Tortola, VI – The death of a male cruise passenger on April 19, 2017 by suspected suicide-a story first reported by this news site- occurred in Virgin Islands waters, the Royal Virgin Islands Police Force (RVIPF) has stated. “Police are investigating the suspected suicide of a male cruise passenger now that BVI Shipping Registry, Police and the cruise ship personnel have determined that the death, in fact, occurred in BVI waters early yesterday morning,” a press release from the RVIPF today, April 20, 2017 stated. 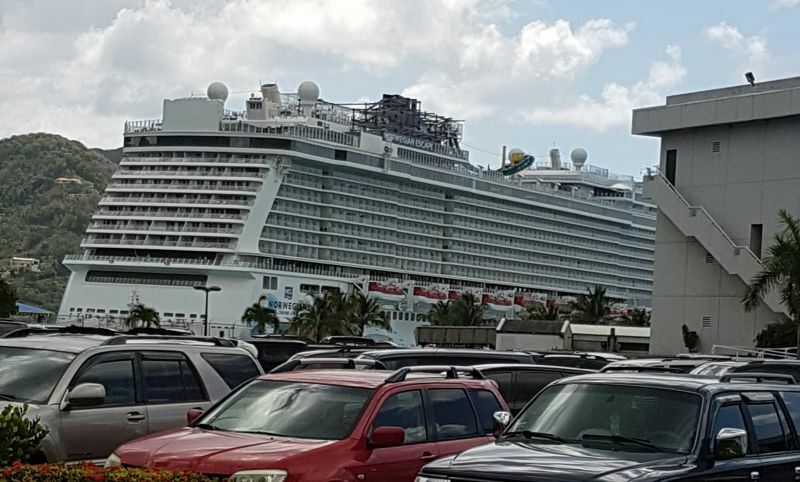 Police further said cruise agents had originally stated that the incident had occurred outside VI waters and therefore reports would be made to the last port of call which was St Thomas, US Virgin Islands. 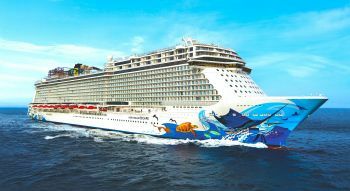 “Inquiries indicate that Norwegian Escape passenger, Daniel Godsey, 33, of Tennessee, USA, had left his room around 3:00 AM. Shortly after, closed circuit cameras showed him in midair descending toward the water. His body was recovered some time later by members of ship’s crew. The ship later arrived at the Cruise Pier in Road Town,” the press release stated. Mr Godsey was reportedly travelling with his wife at the time of the incident. Police said members of the BVI Tourist Board and the Crisis Intervention Team are providing the needed support to the wife of the deceased and the Coroner’s Office has been notified. Reports reaching our newsroom is that a cruise passenger leapt to his death while the vessel was on its way to the Virgin Islands (UK) from St Martin early this morning, April 19, 2017. Information is sketchy as to whether the passenger jumped into the water or to a lower deck. Initial information reaching our newsroom was that the cruise passenger plunged into the water; however, this could not be verified. Virgin Islands Search and Rescue (VISAR) was contacted but could not immediately give any confirmation. 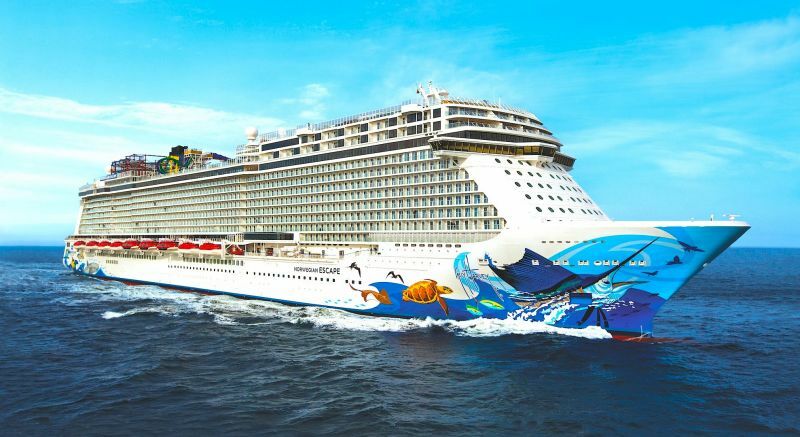 The Royal Virgin Islands Police Force (RVIPF) did confirm; however, that it is investigating the death of a passenger on the vessel Norwegian Escape. 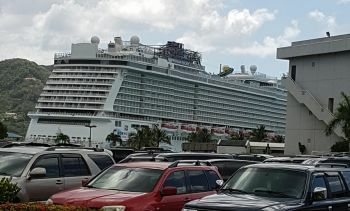 “Police did receive a report of the death of a male passenger on board a cruise ship while it was in transit to the VI. The circumstances surround his death are under investigation,” Police Information Officer Diane Drayton told Virgin Islands News Online. The Norwegian Escape arrived in the Virgin Islands just before 9:00 AM. Wow. Sad. So so sad. I hope that the very thought of coming to the BVI ain't scare them into this... Too much bad news coming out of the BVI. ...and I guess you would rather face death than go home. The dark shadow cloud is upon the BVI. Sacrifices are called and only the weak minded fall. Many amongst you are like zombies just waiting on their name to be called upon in circles and squares. Many who meet monthly in dark places to execute rituals have created this shadow and empowered it with their Sodom and Gomorrah acts to make the almighty angry. Pictures of animals will be on display for your eyesight hoping that you may sacrifice one of those animals to remove the dark shadow that follow you. Place a cup of diesel in the four corners of your home to keep the dark cloud from invading your home and love ones. So....you're saying that he had rather face death than come to the god forsaken, NDP ravaged Virgin Islands...?? He realized that the meat shops in SXM had far better reviews on trip advisor than the ranch here & tried to get back to shore after reading the online reviews. Sadly this is true and the ridiculously high cost to eat out influenced his decision. He died trying ppl! So glad you all make jokes , I sure hope my nieces and nephews and sister don't ever see these comments. I hope that you find pleasure in joking from someone else pain. Sorry to hear that. Poor guy must have heard about BVI Immigration. Probably; just got Married !!!!! Bad sign for doc smith and the ndp on the verge of their new taxtes. Everyone on here making jokes about a man taken his life should be ashamed of your selfs. I knew this man and he had problems just like everyone else in this world. I can't tell you why he done what he done and no one will every know why he done it. But he was a loving father and a good friend to me. And he'll be missed by his daughter and myself and many other people. My family and I were on board. So, so tragic. We wept and prayed for this poor Man and his Family. Condolences to the family. ALL OF YOU MAKING FUN OF DANIEL ARE RIDICULOUS AND SHOULD BE ASHAMED! HOPEFULLY HIS DAUGHTER DOESNT END UP SEEING YOUR DISGRACEFUL COMMEMTS!! Everyone one of you that are making jokes or being a$s#***es are what is wrong with this world, is people like yourselves!!! My question for everyone of you is how would you feel if it were your family member or friend that had done something like this, how would you feel if you read the comments put on here by people thinking something like this is a joke and to some it may be, but to the one that knew daniel knew he had problems just like myself and everyone else in this world but to make jokes about someone taking their own life is uncalled for so if you would like to make jokes take it else where but some need to grieve over the loss of a friend, a child, a brother, a father, a uncle, a nephew and many more things, and no one will ever know what he was going through or what possessed him to do what he did and we never will but you have no right saying some of the things that have been said so far!!! STOP and think of the things that come to mind before saying or typing them because remember you have family too that may be going through something that is covered up so no one knows!!! Knowing how some people are so insensitive, I would never come on here to read the blogs if I have a family tragedy here. People can be so cruel and I could not bear to hear the negative comments. You cannot stop stupidity. To Daniels family.....we were on that ship and saw the horror unfold as our hearts went out to him and his family. We said prayers for him and had moments of silence for him. The rest of our cruise was not the same as we kept thinking of how sad this was. Just ignore the other comments and focus on the ones who care. We are all so sorry this happened. My husband and I were also on this ship. Waking up to hear the announcement felt like a stab in the heart. We did not know this man, but one thing we did know it affected us in a way you wouldn't imagine. Deepest sympathy extends to his family. So very sorry for your loss. My wife and I were also onboard the Escape. Our hearts go out to all his family. We happened to be up early that day and joined several others​ on the top deck once we heard the news that someone had gone overboard. In the distance we spotted something floating on the water. The seas were a bit rough that day. We went from the pure agilation in having possibly spotting him in the distance, to the horror of realizing that he had not survived, as we got closer to him. It was a horrific sight and one that we will never forget. God bless Daniel, and his family at this time of need. I am ashamed and appalled by the comments posted under this article. As a BVIslander, I apologize to Daniel's family, friends and all persons who were affected by this tragedy. I find it hard to believe that people can be so insensitive to others. I recently lost a family member whose story was in the news. While the comments under the story of his death were positive, I cried as I read each one of them. I cannot imagine the devastation I would have felt if the comments were similar to the ones that I have read under this story. I find them extremely insensitive and heartless and can't understand why anyone would be making jokes and taking so lightly the tragic loss of life of an individual regardless of the circumstances of his death. I hope that his family and friends and all those affected will find comfort in the few positive comments that have been posted. Rest Easy Daniel! This saddens me so much. God bless this mans soul and give strength to his family. My friend was on that cruise with his wife and two young children. They had to shelter their children from all the chaos on the ship. Seems like some people look at cruises as a tranquil way to end their life. Cameras have helped in preventing some suicides. My prayers to Daniels family, I'm in shock from some of the disregard, disrespect for him, and his family, what is wrong with you people? Do you not have compassion or empathy for Others? It's very sad......... It's sad that Daniel felt tthat taking his life was his only way to deal with his pain and suffering, I work in the psychological field, and most take there life when they see no other way out, or can no longer take the pain. I wish he could have held on longer and got some help. My heart hurts for the family. And shame on all you heartless people.